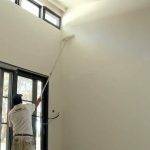 Montréal-Nord Cleaning Services by Ménage Total is the best fit for you if you are a resident of Montréal-Nord. Ménage Total has been serving its customers in Montréal-Nord as well as around Montreal, Laval, and Longueuil with professional and quality cleaning services. the cleaning staff at Ménage Total is experienced, trained and equipped with modern equipment and methods to deal with the unique house cleaning needs as well as commercial cleaning needs. We, at Ménage Total, the server the people of Montréal-Nord as a cleaning partner on their special occasions as well as for deep one-time cleaning. We also deliver all cleaning services on regular basis, weekly or biweekly cleaning service as well as contract cleaning services. Ménage Total offers a wide range of one-time cleaning services, apart from regular and deep cleaning services, to the customers in Montréal-Nord to assist them on a special occasion or for a specific cleaning need. Following are one of the few one-time cleaning services by Ménage Total. Spring is usually considered a season for deep cleaning and restoring the charm and elegance of your house and household items. Ménage Total provides professional spring cleaning service in Montréal-Nord to provide the customers a clean, organic and fresh and breathtaking environment. A new season is the best time for a new start of a healthy life. So, schedule with Ménage Total the time of cleaning you are comfortable for impeccable cleaning services. If you are a resident in a rental place or an owner who want to give your property on rent, our Montréal-Nord Move in and move out cleaning services are best fit for you. 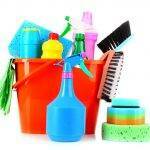 A clean apartment, house or other property attracts the customers if you are renting your place. Similarly, leaving and returning a house, apartment dirty and unclean to the owners will leave a bad impression on the people who rented you their property. It is best to hire a professional cleaning company to move in and move out cleaning will help you a lot. Ménage Total understands that moving in and out leaves you with a handful of tasks, including, packing, storing etc. therefore, we offer our professional cleaning staff to assist you in the possible way we can. Ménage Total provide Montréal-Nord after party cleaning services because post a party, event, gathering, you are too tired to clean a huge mess including trash, stains, dust, and dirt that gets in the upholstery, carpets, rugs, furniture and other items. 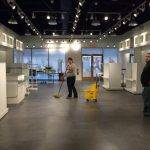 Therefore, we offer our professional expertise in event cleanup services to clear the whole property of contaminants and trash and make it spotlessly clean, tidy and vibrant again.